Play time: 30+ minutes | Players: 4-12 (best with 6-8) | For ages: 18+ New in version 2.0: Even more cards (600 compared to 550 in the original) and over 150 new and updated cards. We'll tell you now, Cards Against Humanity can be an incredibly awkward experience to play amongst friends and family members. Sure, most of the cards seem quite harmless or fun out of context pop culture references. This is a game for dark and twisted people with a robust sense of humour, but what a game it is! In the box you'll find a deck of 600 cards. The black cards provide a question or fill-in-the-blanks style scenarios, such as "Why can't I sleep at night-" or "Science will never explain [blank]." Players then make a hand from the remaining white cards that feature answers to these questions, such as "Crystal meth", "Altar boys" or "A mime having a stroke" (these were some of the nicer examples we could find, there's some real filth in the box). At the start of each round a single black question card is placed on the table between all players. Everyone then looks at their hand of white cards and finds what they think to be the funniest answer to the question, then places their cards on the table. The funniest as decided by the group or the designated Card Czar (a role which switches between players each round) wins an Awesome Point. The game ends when the first player reaches an Awesome Point level you agree on before the game or when you run out of black cards. The player with the most Awesome Points wins (obviously, because that's how games work). Worth Knowing: Due to the adult content of this game, it is only suitable for persons aged 18 or over. Cards Against Humanity is an adult party game for horrible people. 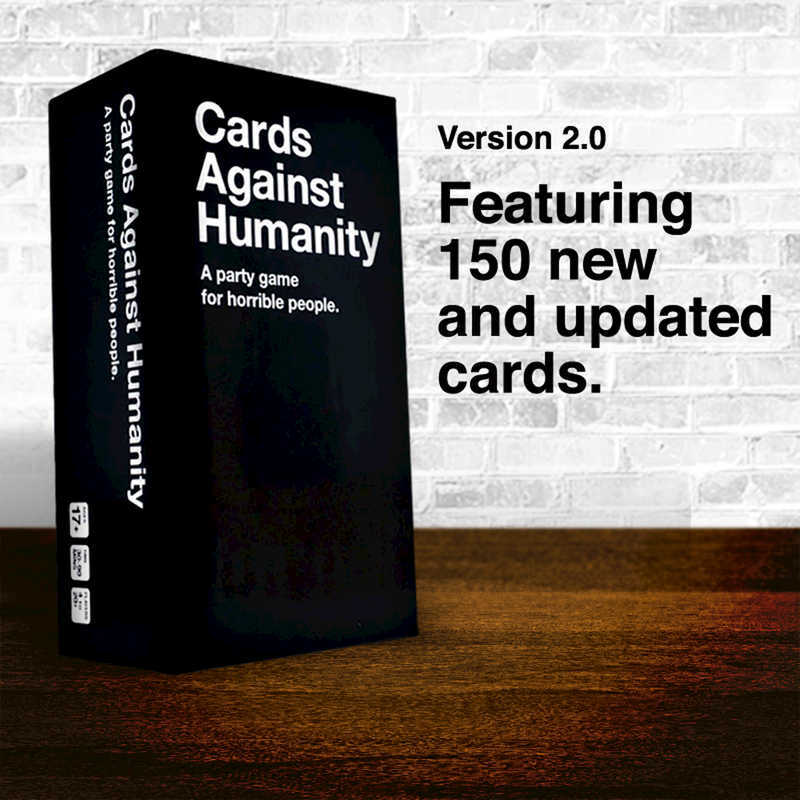 Unlike most of the party games you’ve played before, Cards Against Humanity is as despicable and awkward as you and your friends. The game is simple. Each round, one player asks a question from a Black Card, and everyone else answers with what they think is the funniest White Card from their pile. The person with the Black Card then chooses what they think is the best answer.